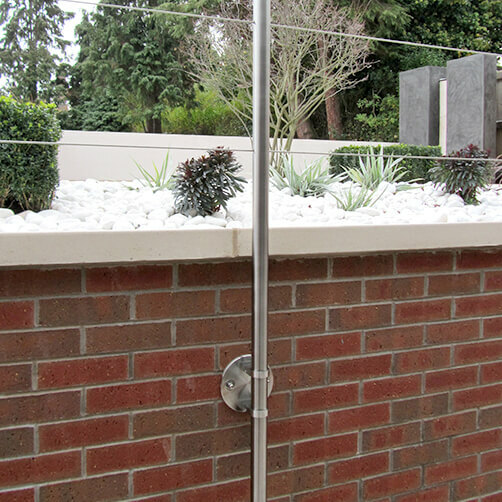 Modular balustrade wall bracket available for interior or exterior use. Available in 304 (interior) grade stainless steel. Available in 316 (exterior) grade stainless steel. Option available to accept 42.4mm diameter tube. Option available to accept 48.3mm diameter tube. Supplied with a 320 grit satin finish. 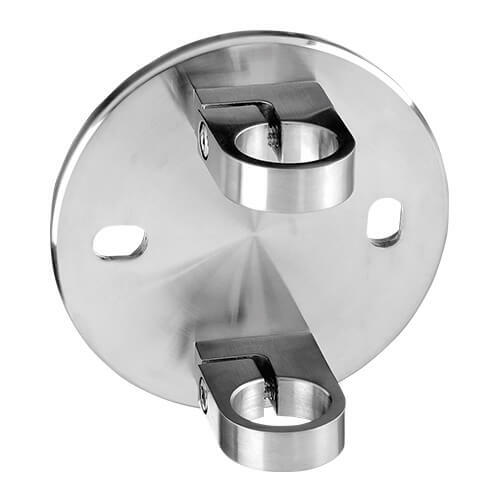 The circular wall mounting bracket is a simple, elegant system used to attach your balustrade posts to a wall or other flat surface. Featuring two elongated fixing holes for precise placement and final angle adjustment. 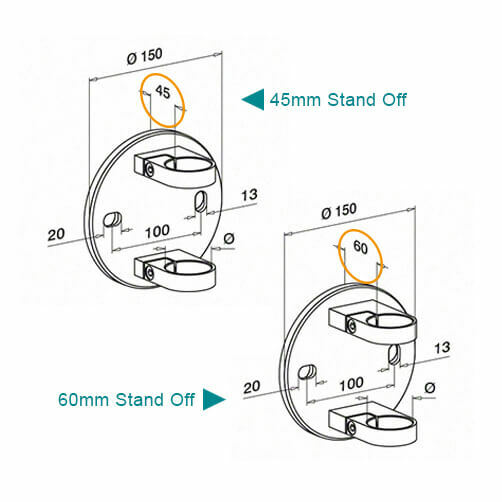 Choose from either a 45mm or 60mm stand off from the wall surface. 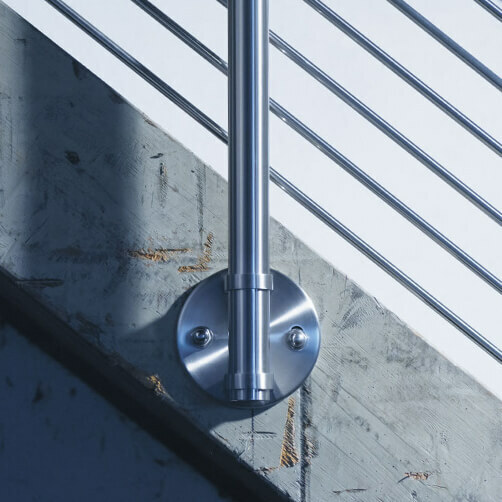 Available in both interior (304 grade) and exterior (316 grade) stainless steel.